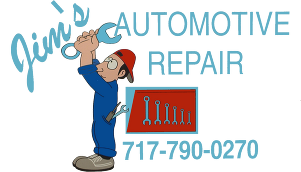 At Jim’s Automotive Repair we want to make servicing as simple and hassle-free as possible. Below are some frequently asked questions. If your question isn’t listed below, please do not hesitate to contact us at 717-790-0270. No! Forget all about that old myth. As long as you follow the specifications given by the manufacturer (which can be found in your handy owner’s manual), your warranty is valid. At Jim’s Automotive Repair, we always follow the manufacturer’s maintenance schedule. We’ll make sure your warranty remains valid and your car remains happy – for many miles to come! A timing belt is a part of an internal combustion engine that controls the timing of the engine’s valves. Most timing belts should be changed every 60,000-105,000 miles, however, each manufacturer is different. Consult your owner’s manual or ask us to determine the correct replacement interval. Antifreeze should be replaced between two and five years due to the oxidation and deterioration of important additives. These additives lubricate the water pump and protect metal parts from rust and oxidation. They also help keep coolant hoses soft and flexible. Today we can recycle and clean old antifreeze, replacing the additives. Antifreeze is very toxic and not environmentally friendly so recycling makes good sense. The engine’s thermostat should also be checked every 2 years to keep the engine operating temperatures in the proper range.